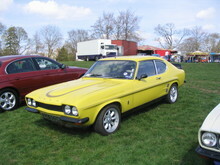 The Capri had been a great success for Ford ever since its launch in 1969. 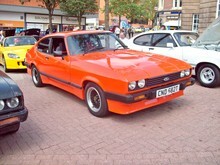 By 1978 sales were still strong and despite a previous facelift in 1974 Ford once again updated the Capri range. 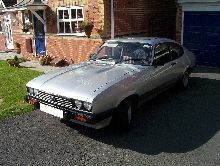 The Capri III received a new front which incorporated four small headlamps, new bumpers and revised rear lights. Once again 1300, 1600, 2.0 and 3.0 litre versions were available in a range of trim levels. 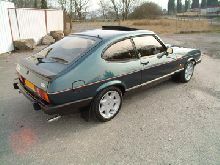 The 1300 was dropped from the range in 1982 and a new 2.8 injection model replaced the 3.0 litre. The range was drastically rationalised in the mid-80's and included a 1.6 entry model, a 1.6 Laser, 2.0S and the range topping 2.8 injection. 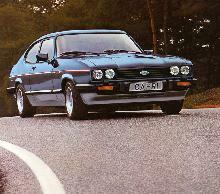 The last models rolled out of the showrooms in 1988 and a special 280 Brooklands model provided the Grand Finale. 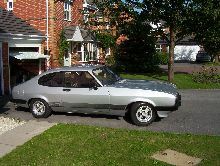 Buyers Guide Ford Capri MK III featured in Practical Classics Spring 2002 – available from our sister site Bookbase. Click here to view. 0' 101" 0' 53" 0' 54" 0' 101" 0' 67" 0 (20) 0' 0"